Templatehack.com - Download iBeats premium blogger template. Toady, I will share to you one of wordpress look blogger template. This template name is iBeats. 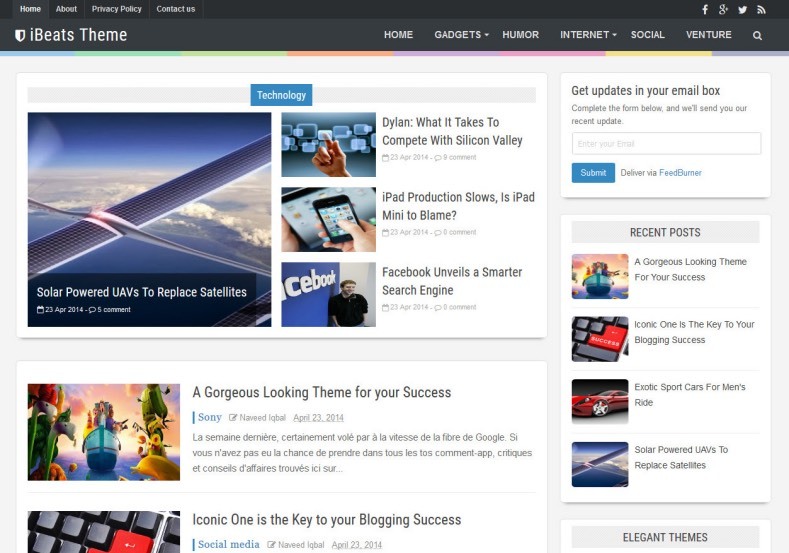 iBeats blogger theme is a colorfull template. Template's colors can changed by yourself through dashboard layout panel. iBeats has four column footer. iBeats has a modern and simple design that can make your blogger visitor can access more easily. Ini this version, iBeats addes featured post on top page. 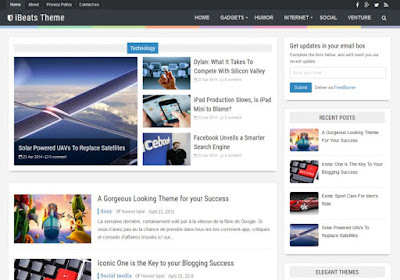 Many professional blogger say that iBeats is one of the best blogger template that look like wordpress template. This template can increase your blogger visitors because its had a SEO optimized.